The weekend was booked in for heading up from my South Downs home to join a couple of Glasgow friends, but family matters have postponed that, so I cobbled together a plan B. 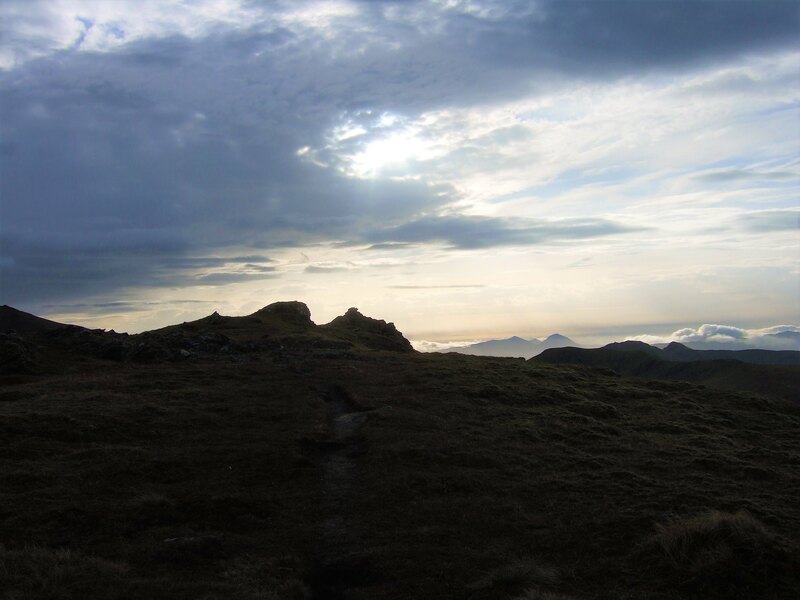 Next May I'm booked to do the Skye Cuillin with a guide, but I'm nervous about the ridge. 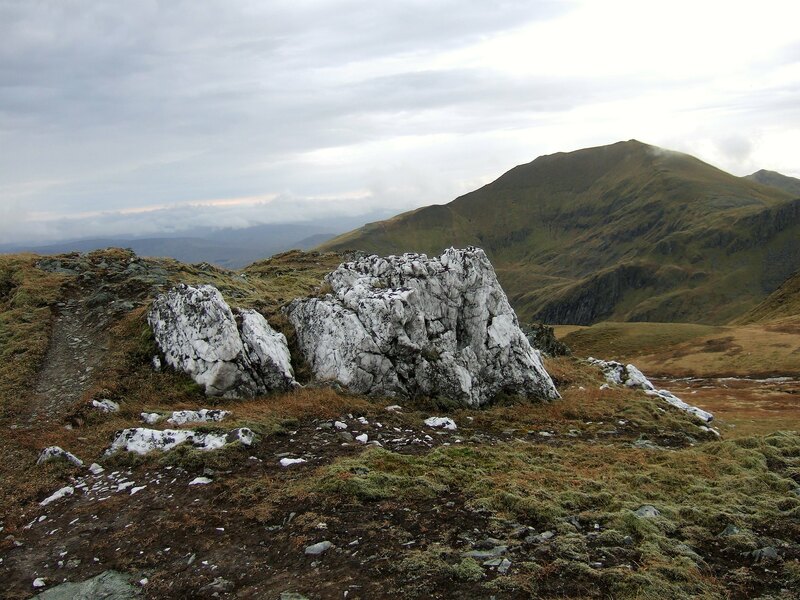 I saw the guide was doing a little Meall nan Tarmachan walk on Saturday with mini-ridge and scramble focus, so bingo. 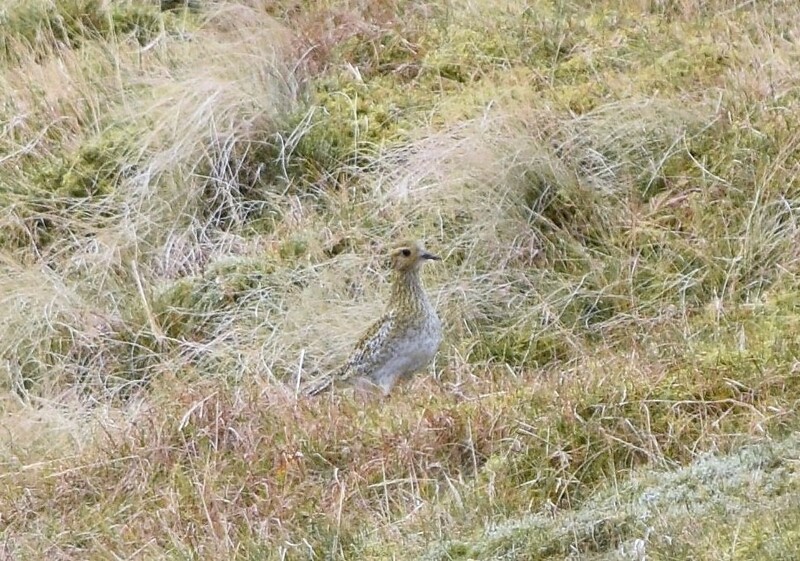 I could walk with him and he could say "Crikey - no way I'm taking you up Skye - you'll have to cancel." Or not - we'd see. That was a lovely day, and he hasn't asked me to cancel. Here I am under his expert eye scrambling down in Sunday's high-ish wind (photo courtesy of a lovely co-walker called Neil). 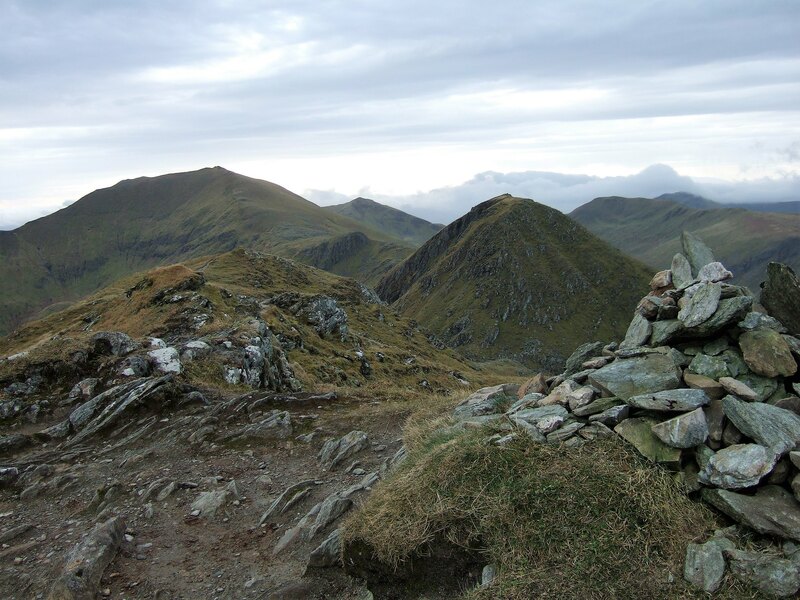 So, Monday saw me in the area, with a plan - if it was dry - to walk An Stuc and its two Meall-y pals. 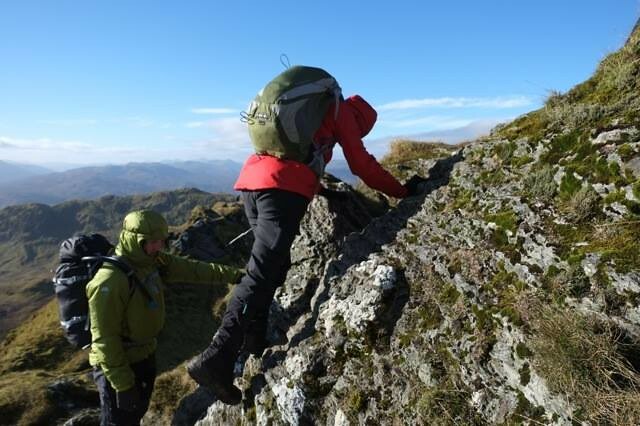 My Skye guide had mentioned using stiffer boots for (tougher) scrambling, which I'd never considered, but I had mine with me, so on Monday morning I put them on to try out the difference. It was a fine enough morning - dry, but with flat light. There was almost no one around - one walker up on Sron Mhor ahead of me and another fast approaching me when I stopped to remove a layer. I wanted to be on my own, so I hung around after he passed, taking pics. Still, I was looking forward to the scramble up, so onwards. Behind me I could hear the high-pitched cries of, and just make out the silhouettes of, something wader-y. 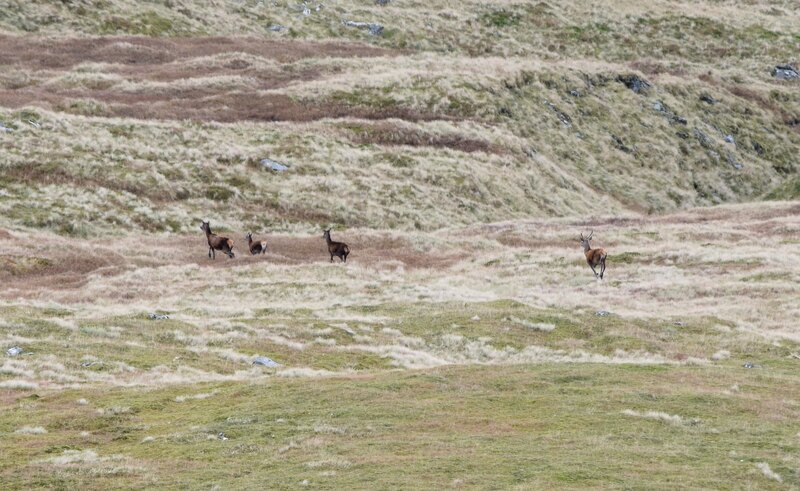 As I descended to the bealach, there was another small noisy flock. Now and then they took briefly to the air, wing-edges flashing white, and then settled again, camouflaged in the autumn-gold grass. Because they were... golden plover, their summer breeding black turned to buff. Beautiful, charming companions they were too! The light started doing such superb dramatic things I decided to stop and have a bite to eat before trudging up beside the fence posts to Meall Garbh's summit. Then up and off again. 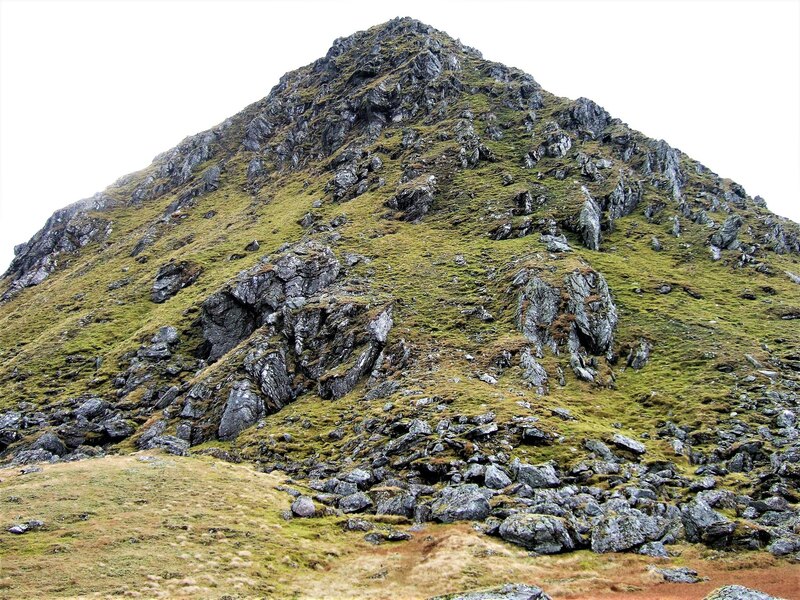 The ridge just before Meall Garbh's summit may be an irrelevance as routes go, but it was there, so I trotted off along it anyway. 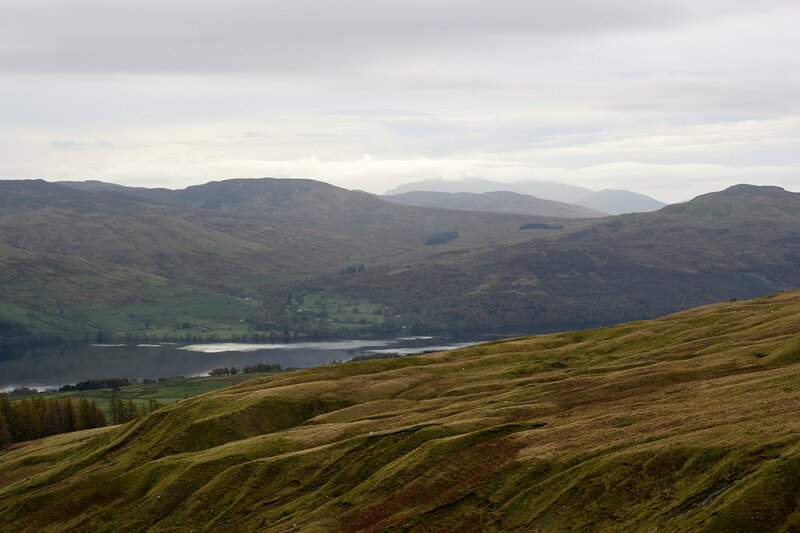 Below me was a herd of deer, who seemed to be scarpering from something or someone else over towards An Stuc. I'd had my ear out for deer, but frankly by this point the males could have been roaring like a lion drunk on testosterone, but the wind was making such a racket I wouldn't have heard a thing. I'm not a seasoned scrambler, so I was sensible and careful, remembering the guide's tips from Sunday, also aware - as ever - I'm on my tod, so can't make a mistake. But still, I made the most of what was available, and made the most of my rigid boots. It was true - it was great edging in them in comparison to the softer summer ones. Obvious when you know, but hey. But then, oh! It's over. That is such a short, quick, height-gaining ascent! And at the top, the sun was shining over Ben More to the south-west, Ben Nevis was peeping up to the north, the wind had dropped completely, no one else was around, and I had one of those moments which you just want to go on forever - everything was just beautiful, perfect serene. Last edited by EmmaKTunskeen on Thu Nov 02, 2017 9:56 pm, edited 1 time in total. I remember doing these in what seemed like the mother of all winds. 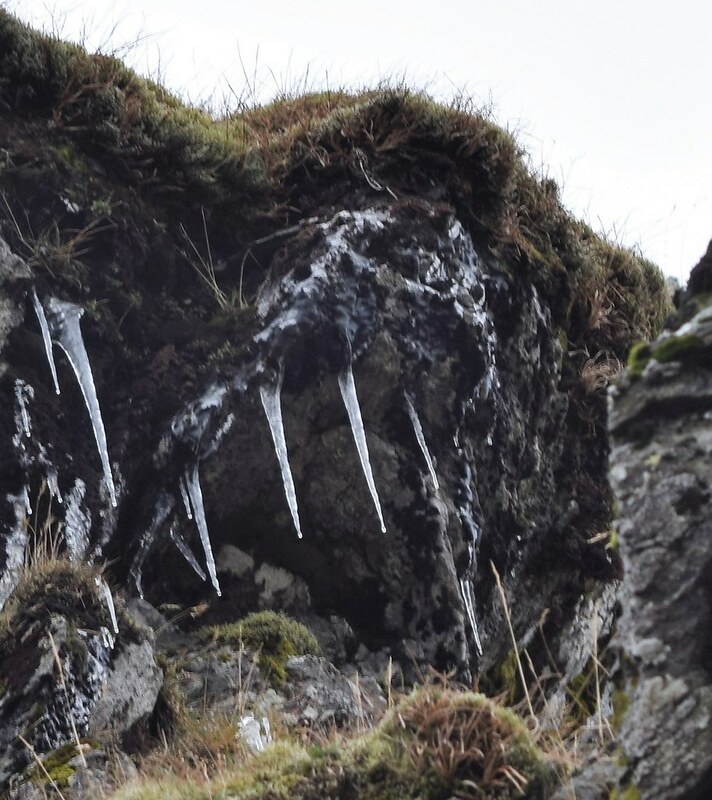 Steep descent to the lochan!! Looks good. Haven't done this. Slightly embarrassed by how many trips you seem to manage from Sussex, when I hardly ever get up there! 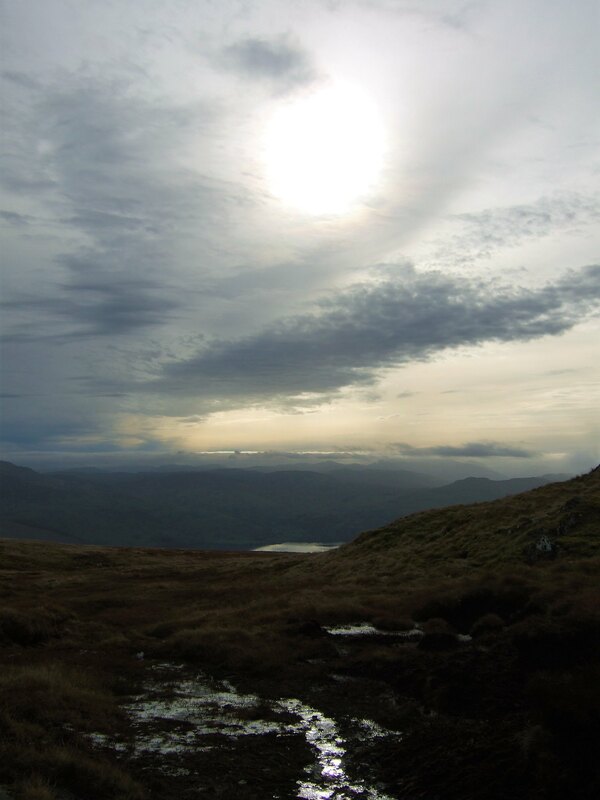 Fine weather, fine place, fine pics (I especially like the one titled "lunchtime sun over Loch Tay"). I'm wildly impressed that you do this starting in Surrey.... I thought I lived a long way from the Highlands, but it's 4 hours closer than you! Coop wrote: Really like an stuc. Thank you, and hats off to you for doing it in high wind! I knew scramble-side would be basically south in a northerly, but would probably have walked the Loch an Daimh ones otherwise. Mal Grey wrote: Looks good. Haven't done this. 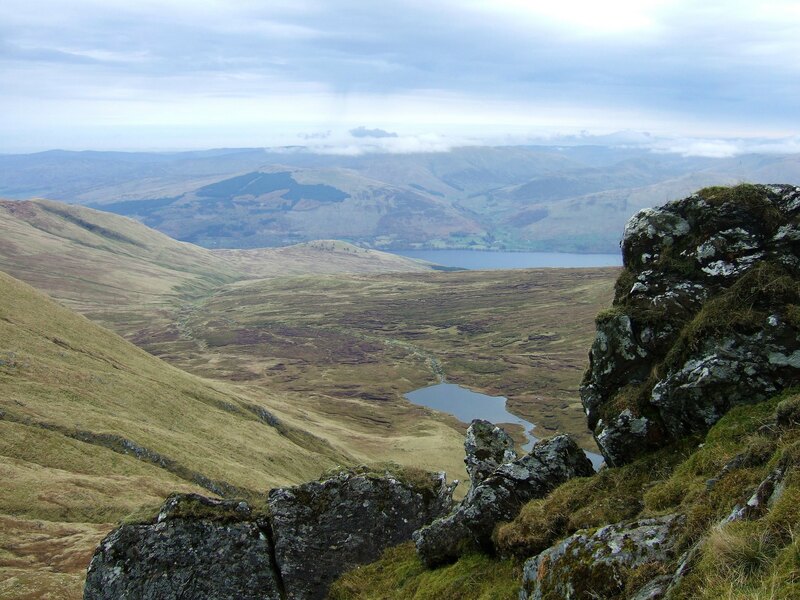 Alteknacker wrote: Fine weather, fine place, fine pics (I especially like the one titled "lunchtime sun over Loch Tay"). You both make the most of it when you do get there though, I love your reports and photos (Mal, your Suilven on fire in the evening light with the kids 'n' canoes camp - mesmerising!). 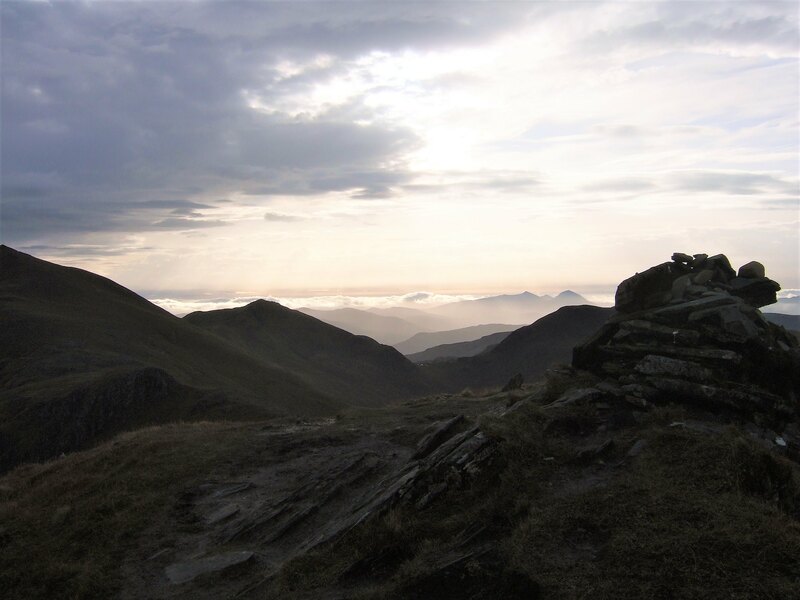 Great report with some beautiful view,s, and some interesting pics for scrambling and routefinding purposes too! 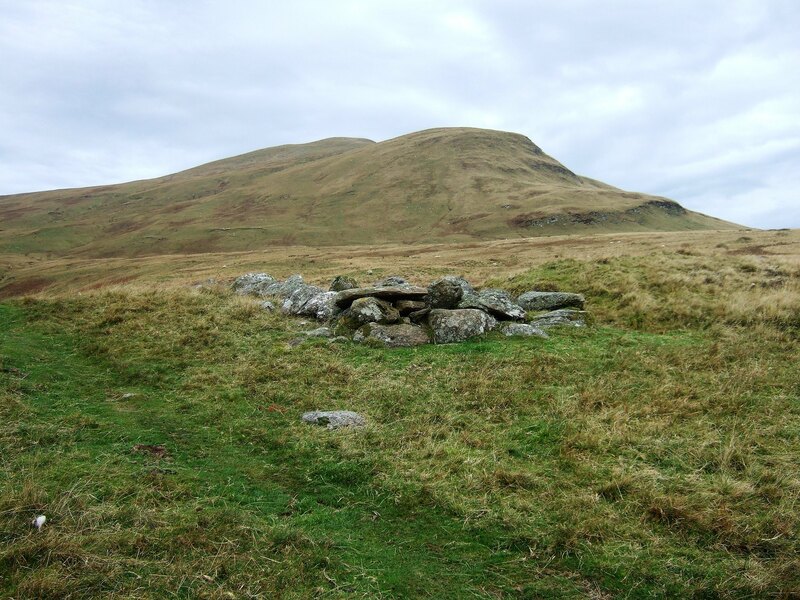 I had the same wind experience, a bit windy on the ascent up to Meall Greigh, and on and off until I reached the ridge Meall Garbh when it was crouch down strength. 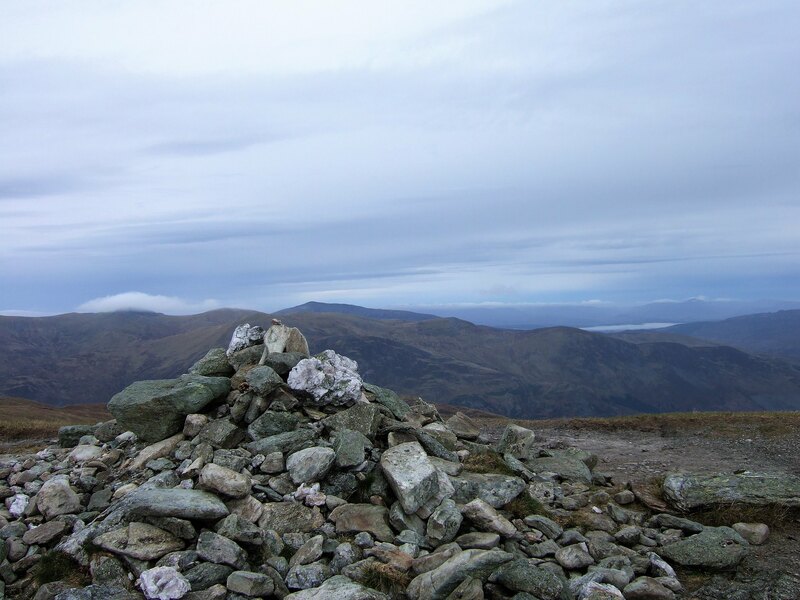 Then mysteriously when I got to the top of An Stuc, perfectly calm perhaps the topography funnels the breeze in some way. I enjoyed your Skye post, Tim, and thank you for the reassurance! Perhaps. 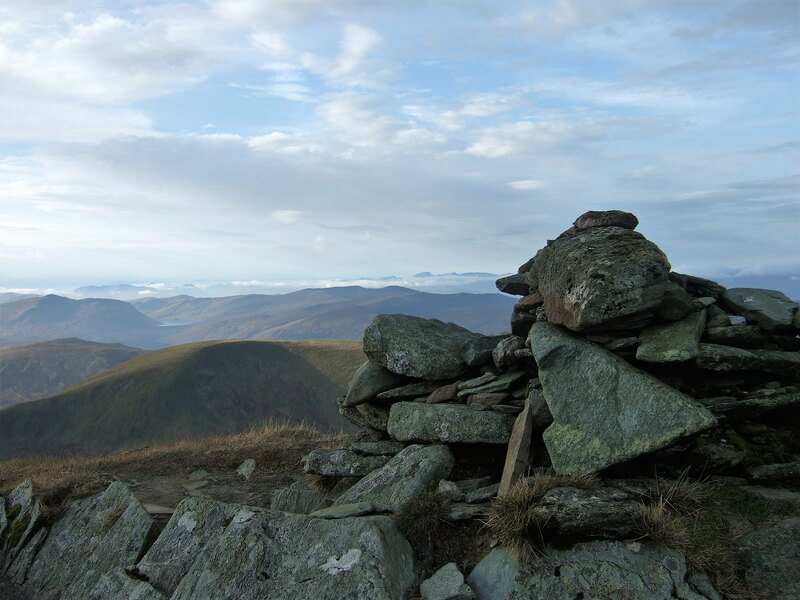 More An Stuc magic! Love your eventual ravens pic You found the bridge over the burn I see. I missed that entirely.